Greg Pratt, the lead developer of GoingOut, first heard about Ionic from a tweet by @yearofmoo. He read the promises Ionic was making on the home page, and as an AngularJS convert, was excited at the possibility of a mobile framework built on Angular. Me: Tell us a bit about your app. What does it do, and who is it for? Greg: Going Out provides a feed of info on events happening in bars and clubs. We’re about 4 months old, concentrating on our home town of Leeds in the UK, proving the model works before branching out. 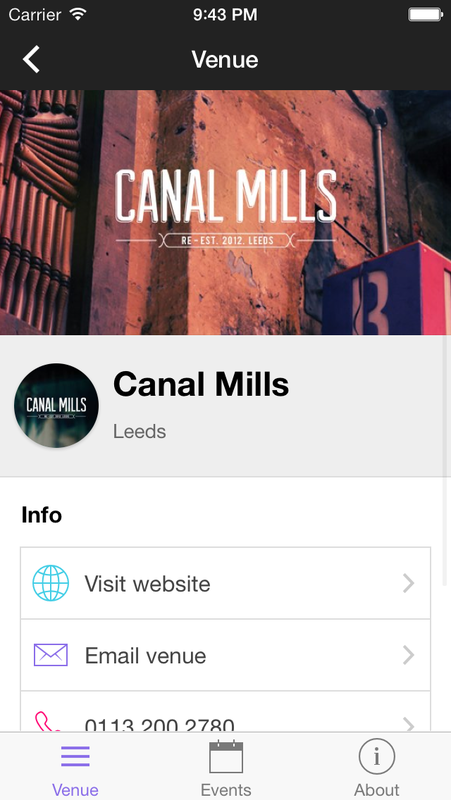 Our number 1 goal for this year is to start selling e-tickets in partnership with as many bars and clubs as we can. In the future we will allow users to login, purchase tickets, update their details and link up socially. It’s mainly targeted at students. We also have another Ionic powered app in development for e-tickets, with a barcode scanner. Venues will use it to validate our tickets. The most interesting point about it though is the styling. It didn’t need to be heavily branded so you won’t find a single line of custom CSS…but it still looks smooth! Me: How did Ionic help you build your app? Greg: I didn’t appreciate it fully until I had used it but Ionic enforces Rapid Application Development (RAD). This is one area where Ionic and Bootstrap differ. Bootstrap enables RAD, whereas with Ionic you’ll find it a challenge to build a production ready application slowly. Me: Which UI elements did you use? Greg: Headers, lists, tabs, modals and loading were the highlights. If I had to roll those features myself I would still be coding right now. Side menus also made an appearance during development but I felt like I was using them because they looked cool, rather than the best approach to my solution. But that’s a good point, everything is at hand, want a header? Here you go. Want your views to transition when navigating? Already done. Presentation and behavior are baked into Ionic. And that’s key, it’s what produces a consistent yet customizable output. Me: What do you like about Ionic compared to other frameworks? Greg: I’ve looked at other frameworks and while some are on the right track they’re still not as mature as Ionic. And given Ionic is an alpha release that’s saying something! The previous version of Going Out was written with no framework. In other words: I wasted a lot of time. Me: Why did you choose to build an HTML5 app instead of going pure native? Apple keeps Nitro to themselves and Google proved they are capable of producing lemons such as the Android stock browser. It’s absolutely rubbish. If vendors actively supported HTML5 apps rather than subtly curtailing their efforts you’d see so much progress it would be awesome…I can dream! Greg: There are only 3 people that make up Going Out one of which is a web developer and that’s me. I developed the website and the applications. This is why I can’t recommend Ionic enough. Ionic has greatly improved my productivity and quality of output. Tools like this make my life much easier and more enjoyable because I can concentrate on imagining what other things I could build!